For years research has shown that shiitakes strengthen the immune-system, fight viruses, contain anti-tumor properties, lower total cholesterol, triglycerides, and phospholipids levels, and regulate blood pressure. Lost Creek Mushroom Farm comments on new research that has found a new niche: shiitake mushrooms support cardiovascular health. 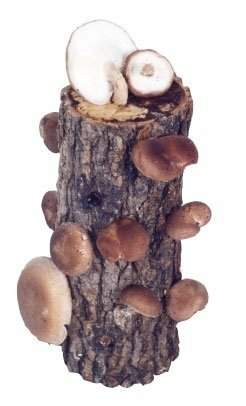 Lost Creek Mushroom Farm owner Sandra Williams, PhD, speaking for The Voice of the Mushroom Foundation, is calling for a greater appreciation and understanding of the health and medicinal benefits of shiitake mushrooms. “We shiitake growers speak of shiitakes as a ‘functional food’ because it has such a rich supply of health and medicinal compounds and properties,” she said. 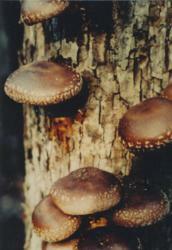 Williams’ reported that shiitakes can elevate mood and generate feelings of joy. "They were used in earlier times to relieve sorrow and grief, especially grief from the past."